At Cascade Oral & Facial Surgery, Dr. Philip Mann provides our patients with a comprehensive range of oral and facial reconstruction services. Whether you need wisdom teeth removal, dental implant placement, or dental surgery in Lake Oswego, Lake Grove, Portland, Tigard, or Tualatin, our experienced and dedicated team can safely meet your treatment needs and quickly get you on the road to recovery. As an Assistant Professor at Oregon Health and Science University, Dr. Mann remains committed to providing his patients with only the latest and most advanced care possible. Dr. Mann and your general dentist will always make every attempt to preserve patients' teeth for as long as possible. However, when the health of a tooth can no longer be maintained, it must be removed. When faced with a tooth extraction, the best choice is often to replace the tooth with a dental implant. A dental implant takes the place of a lost root, by placing a screw-like structure in the jawbone. Your body's natural bone structure will bond to the implant surface which will allow a new dental crown to be connected to the implant. The result is a tooth that looks and feels like the real thing. Before the placement of a dental implant, Dr. Mann will perform a thorough evaluation of your current oral health to ensure you are a good candidate for the procedure. It's important that patients possess good oral and general health needed to help ensure the successful placement of a dental implant. A bone graft is performed if the jaw bone does not possess adequate thickness or strength to support a dental implant. In most cases, patients need only a small piece of bone to repair the jaw. Once the graft is completed, it will take several weeks to a few months for the new piece of bone to grow into the existing jaw enough to support an implant. Autograft: A type of transplant where bone is taken from another part of the jaws or body and moved to the site to be repaired. 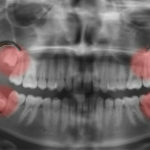 In most cases, the bone graft will come from a thicker part of the patient's jaw. Allograft:A type of transplant where the bone is taken from a human donor. The cells and proteins are treated to ensure no contamination, and the structure of the bone remains only to allow your own bone to replace it with time. Xenograft: A type of transplant where the bone is taken from a cow or other species of animal. It is also treated in the same way as allograft to remove contaminants. It is generally used in conjunction with other types of grafts. Growth Factors: Molecules and proteins that stimulate your body to re-grow your own bone. Examples include BMP (Infuse), Emdogain (EMD), GEM21 (platelet-derived growth factor). Dr. Mann performs corrective orthognathic (jaw) surgery to correct a wide range of skeletal irregularities, resulting in the misalignment of a patient's teeth and jaws. In conjunction with braces from your Orthodontist, corrective jaw surgery can help improve a patient's ability to speak, eat, and breathe. Dr. Mann will work with patients to determine the best treatment options for their unique case, and provide them the information needed to understand the process from consultation to surgery to recovery. Dr. Mann and the rest of our staff at Cascade Oral and Facial Surgery always put the health and comfort of our patients first. We all feel anxious going to the doctor, and when surgery is involved we want the experience to be a positive one. As such, some patients may want to consider undergoing sedation to complete their procedure. As part of his extensive education and training, Dr. Mann is an expert in a wide range of anesthetic techniques from laughing gas to oral and IV sedation. During your procedure, you will be monitored fully, with both the cutting edge of vital sign equipment and our highly trained anesthesia staff. Our team at Cascade Oral & Facial Surgery work tirelessly to ensure our patient's health and safety.